Born in Poland, of Ukrainian descent, and buried in Istanbul… Hürrem was one of the most powerful women in the Ottoman empire. She played a very important role in politics and state affairs. She was a prominent figure in the “Sultanate of Women,” a 130 year period when women of the Imperial Harem of the Ottoman Empire had extraordinary influence on the Sultans. 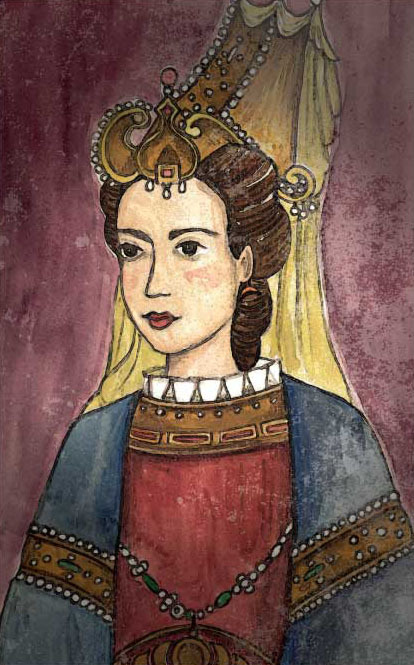 Hürem Haseki Sultan, Roxelana, Alexandra Lisowaska, Roksolana, Rossa, Ruzica, Khurram, and Roxolany. I think some of these are nicknames and translation changes- but I need to do more research to sort it out.